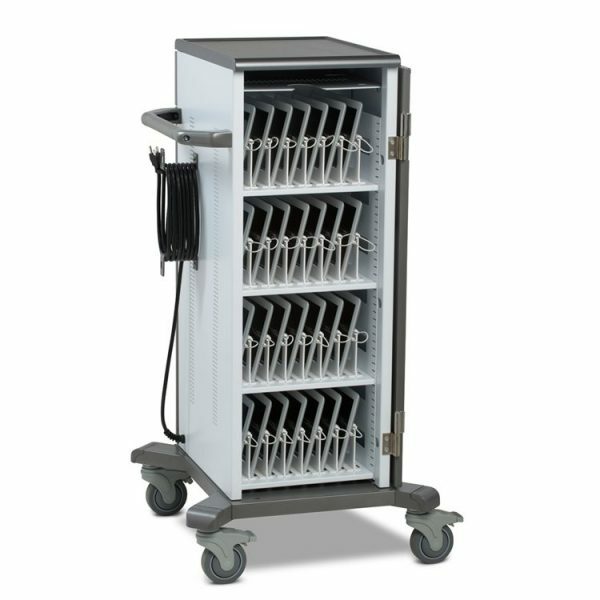 Charge your TABLETS, iPADS and ChromeBooks all-in-one Tablet Charging Cart. 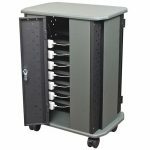 Economy Tablet Charging Cart 24 Unit Ideal for Tablet Computers, iPads and ChromeBooks. 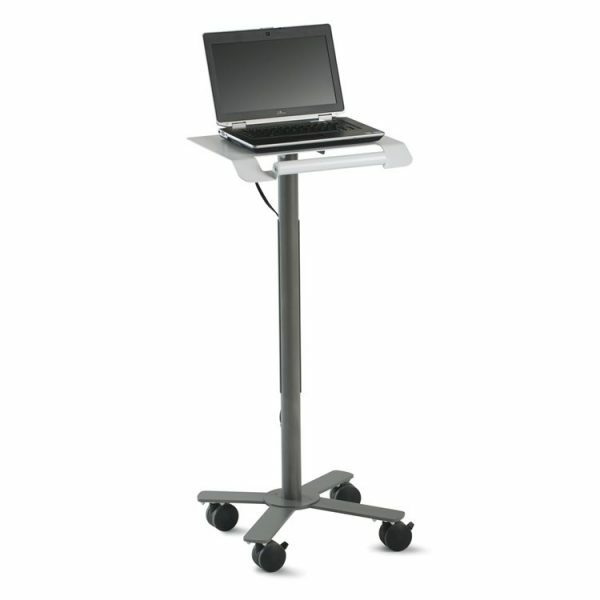 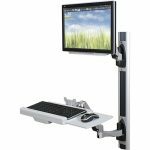 22.5″w x 15.75″d x 30.75″h Weight: 87 Lbs. 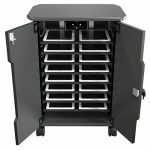 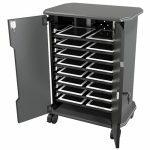 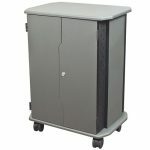 Our 24 Unit Economy Tablet Charging Cart is your all-in-one common sense solution to protect, charge and secure your Tablet computers, chromebooks and eReader investment. 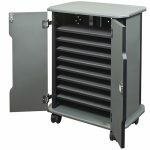 Attractive scratch resistant wood & metal and quality construction, provides years of reliable service. 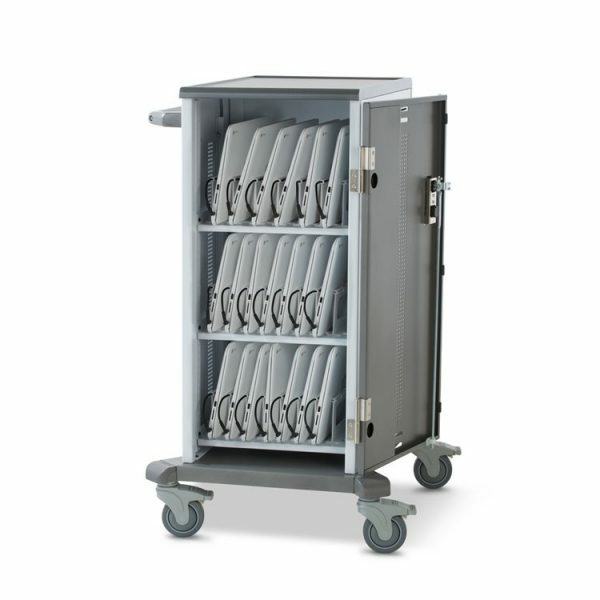 Keep up to sixteen tablets or netbooks charged and secure in the compact and versatile Economy Tablet Charging Cart. 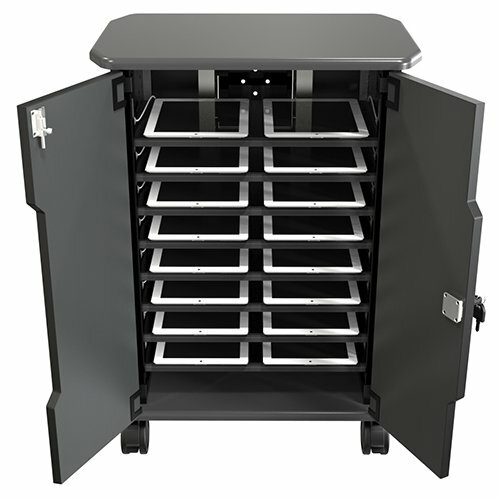 Eight shelves (2.5″H x 11.19″W x 14.91″D) hold two devices each. Attach each device with a wall charger to an outlet in the cart’s included power strips (each with eight outlets and a 15′ cord), and connect the cart to a wall outlet for convenient charging. 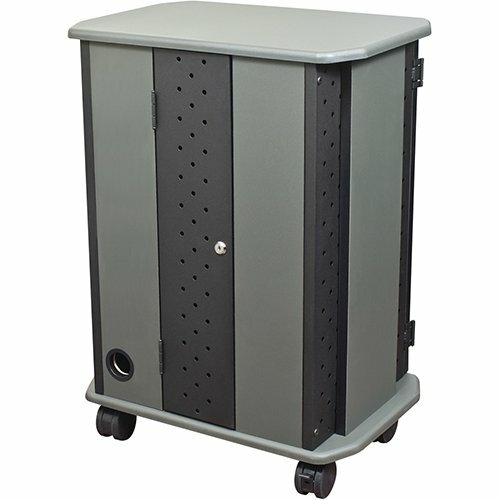 Body constructed of wood with ventilated metal back door, includes 3″ casters (two locking). 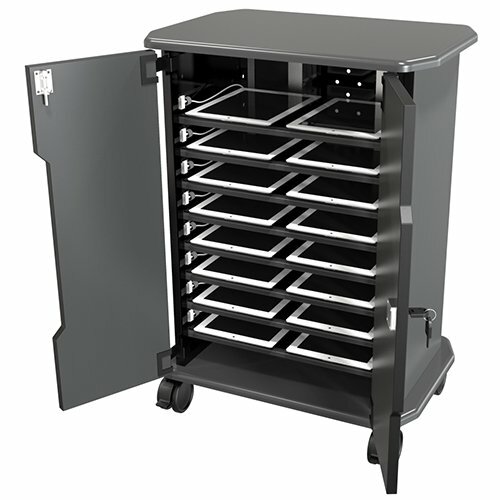 Front features two locking doors for easy front loading of tablets. 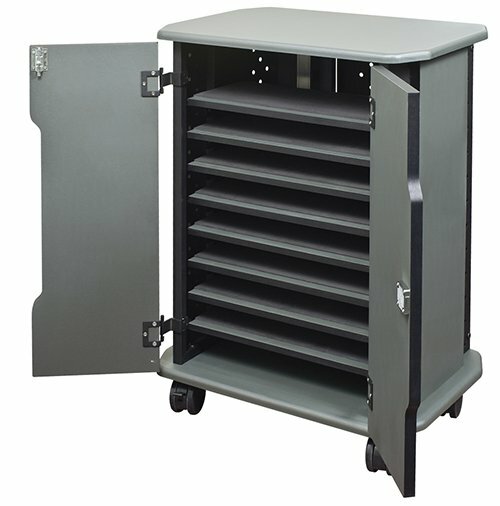 Back features smaller locking door for quick access to electrical assembly. 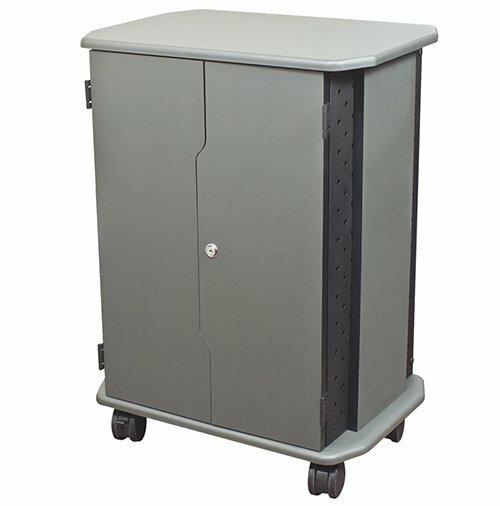 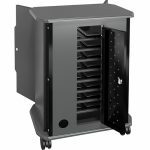 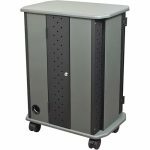 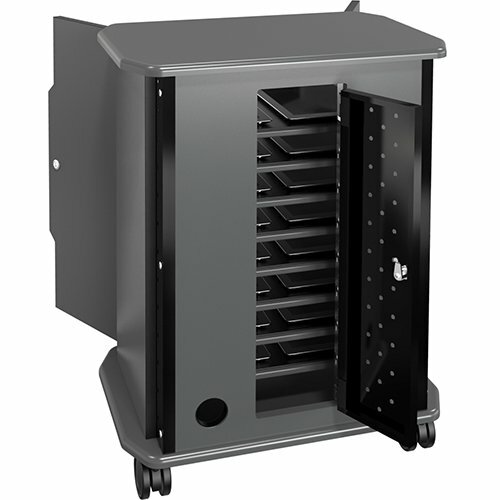 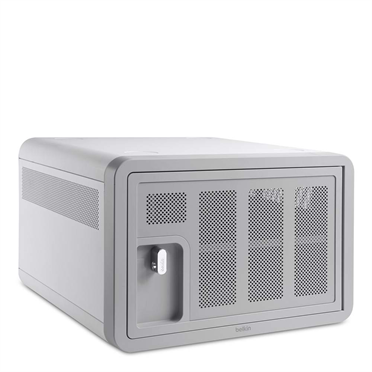 Our 5-bay charging locker is designed to store and charge mobile electronic devices while keeping them secure. 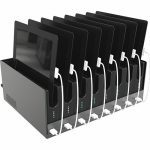 Each of the five compartments is equipped with an AC power outlet and USB port that can charge cell phones, tablets, laptops and Chromebooks up to a 17” screen size.